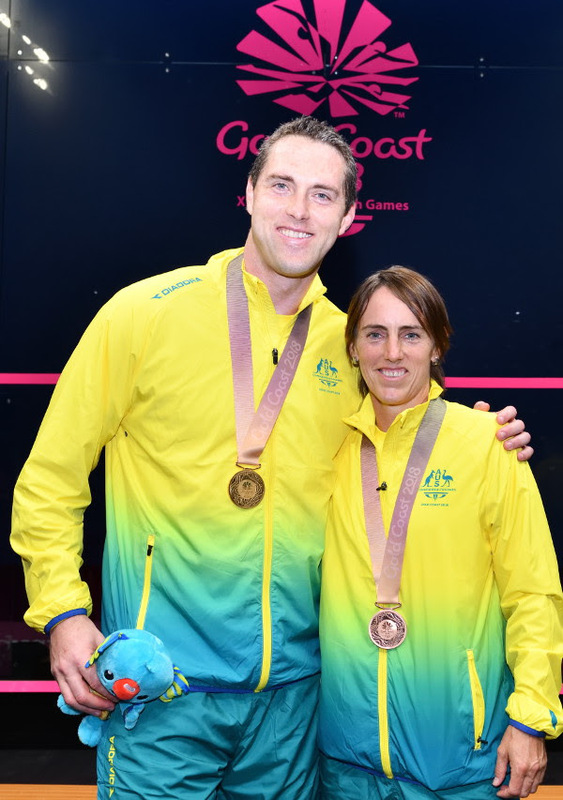 Hunt, who presented the medals at the Men’s Doubles ceremony, continued: “I coached the Australian team in the 1998 Games. I would love to have been involved in my day as a player – but it wasn’t to be! 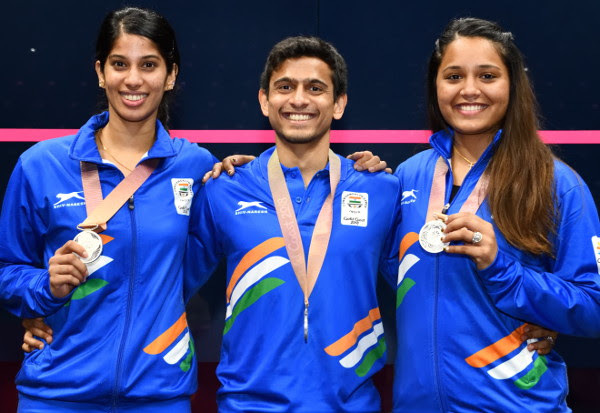 Cyrus Poncha, the Indian National Coach, said: “We were very disappointed not to get another gold in the Women’s Doubles, but our pair was beaten by the two-time world champions. Speaking about the success of the New Zealand team, manager Wayne Werder said: “We’ve got such a small team. 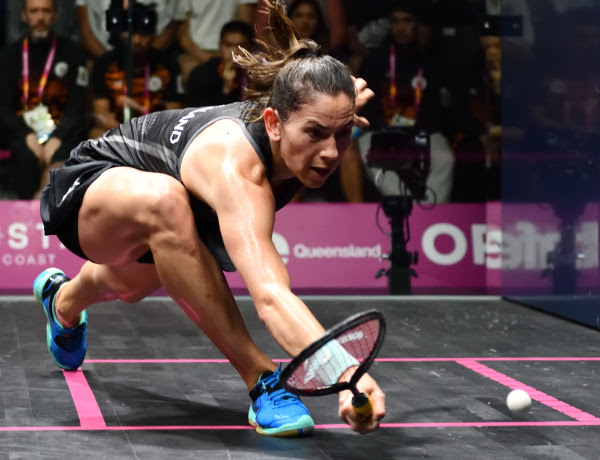 But it’s been a brutal week – Joelle’s had 15 matches and Paul (Coll) 14. 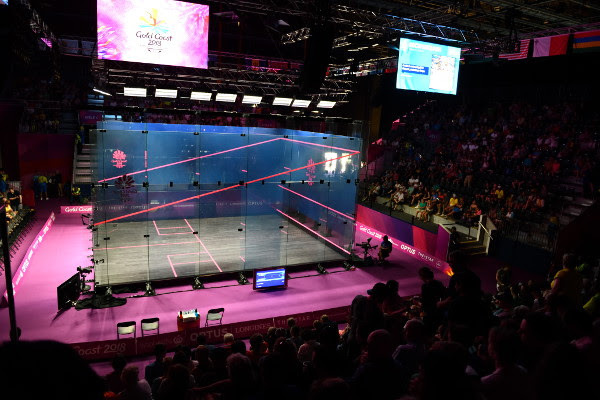 Major Maniam, now a Director of the Squash Racquets Association of Malaysia but from 2002-2016 the Director of Coaching in India, said: “I was delighted to be involved in the historic debut of squash as head coach in the 1998 Commonwealth Games in Kuala Lumpur. 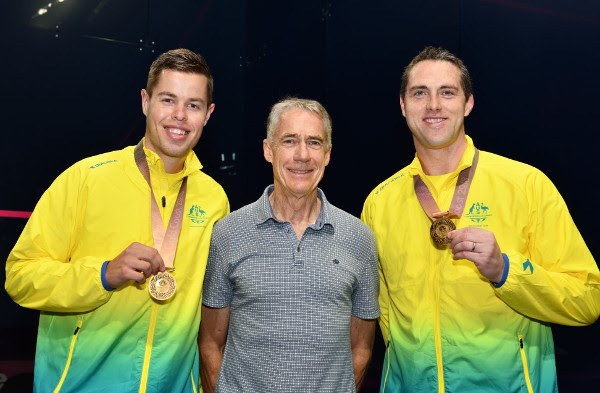 World Squash Federation CEO Andrew Shelley summed up the sport’s Gold Coast experience: “When squash started its Commonwealth Games journey 20 years ago, the staging and presentation bar were set high in Kuala Lumpur – and it has been nothing but continued progress ever since. 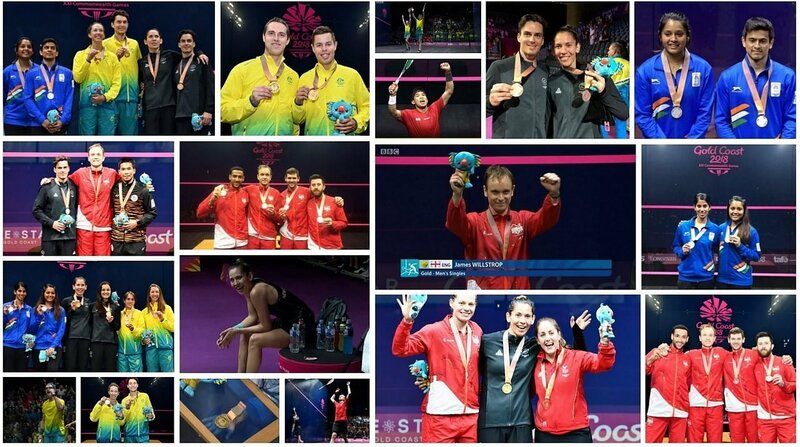 The spread of nations, the innovation on and around the court, superb broadcast and general sports presentation are general features that grow edition upon edition.